As you know, your septic system is an underappreciated part of your home’s infrastructure. Depending on where you live in Sussex county, you may have a septic system or you may be on the municipal water system. Many of the septic systems that are out there can actually be converted to municipal water if you wish. Of course, it is the best policy to check with experts at Willey and Co. whenever you are considering modifying your septic system or any related components. We have been serving Kent and Sussex County for over forty years now and are a trusted local septic, well drilling, and irrigation contractor. If you have ever thought about connecting your septic system to the municipal sewer lines there are a few things that should be considered. 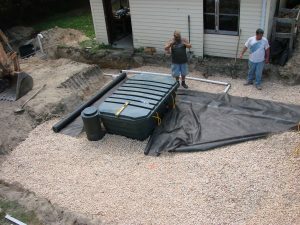 A septic system, by nature, is one of the most efficient ways to process waste. Of course, you will need to pump your septic system every three to five years or so. Pumping involves one of the big blue truck that you may have seen rolling around the area. Those trucks perform the pumping of various septic systems around the region. 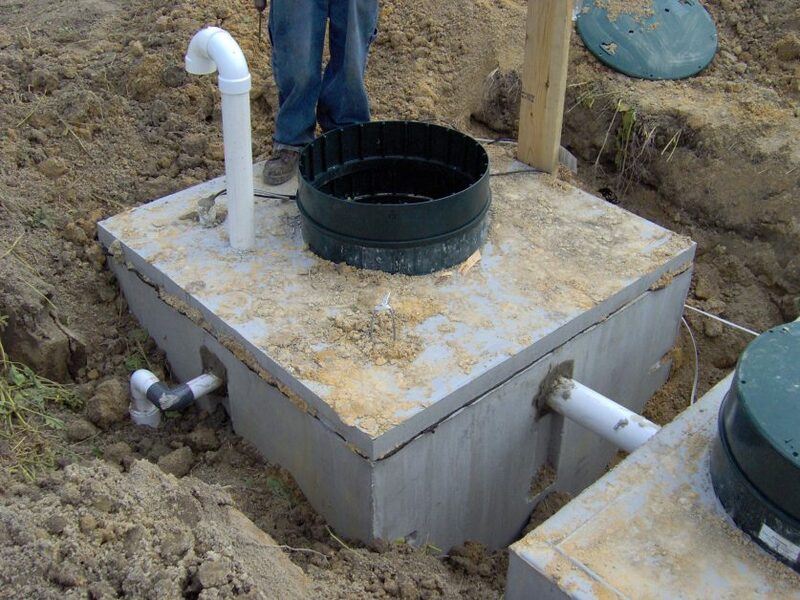 We are able to do large or small septic tank pumping and either residential or commercial systems. Pumping is critical to the health of your septic system and, if not done regularly, can create all sorts of problems with your septic system. A backed up septic system will result in a clogged drain field. A clogged drain field will result in a sewage lake in your backyard and many times a backhoe will need to be brought in to excavate the tank. Of course, this is the ultimate worst possible scenario, but it happens every day to good people and all that is needed is a little maintenance. Of course, if your septic system is connected to the municipal sewer, the frequency of pumping is greatly extended because you do not need to depend on a drain field. Of course, in many areas, connecting your septic system to a municipal sewer is not even an option and steps must be taken to prevent the excessive buildup of sludge that can cause problems. Your septic tank works like this; every time you dump something down the drain or flush the toilet, whatever goes down there ends up in the septic tank. Yes, that means every little toy your 4 year old flushes down the toilet ends up in the septic tank. For the organic stuff that ends up in there, a biological process is constantly occurring in which bacteria breaks down the solid waste into much less solid waste. Incidentally, the cleaning products that you use in your home can actually disrupt the biological balance and create a bad situation for your septic system. Taking care of your system means watching what you put down the drains and having your tank pumped on a regular basis. Of course, as high maintenance as a septic system sounds there are new ways to condition and actually reuse the water from your home. If you have a home, chances are, you have a yard and that yard probably requires hundreds of gallons of water every year to keep green. What if we told you that it is possible to use your home’s drain water to keep your lawn nice and green. Not only would you save money but you could cut down on your water usage dramatically. An aerobic treatment system is actually quite genius, as some of them produce discharge water that is clean enough to use on your lawn. These systems rely on aerobic bacteria instead of anaerobic bacteria for waste digestion this is achieved through aeration. After the waste water is properly treated, it goes through a sanitizing process which can utilize UV lights or substances like bleach to clean the water. This water is now ready to be used for irrigating your lawn. What could be better than saving water, saving money, and having a gorgeous green lawn? Regardless of the method of treatment, both aerobic and anaerobic, it is still necessary to pump your system occasionally for maximum life. 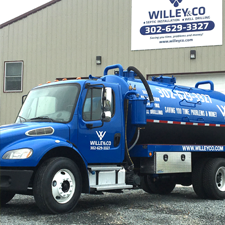 At Willey and Co., we not only specialize in septic system pumping but we are Sussex county’s septic system installation leader. Contact us today for more exciting ideas that can save you money and increase the efficiency of your septic system. We look forward to hearing from you and thank you for your business.